Energy Efficient - 10 bright LEDs, built-in rechargeable lithium battery. AC adapter and USB cord included. One Button Control - Easy access power switch behind to power on/off and control two brightness levels. Flexible Goose Neck - 360° adjustable neck allows you put the light on right position exactly where you want. 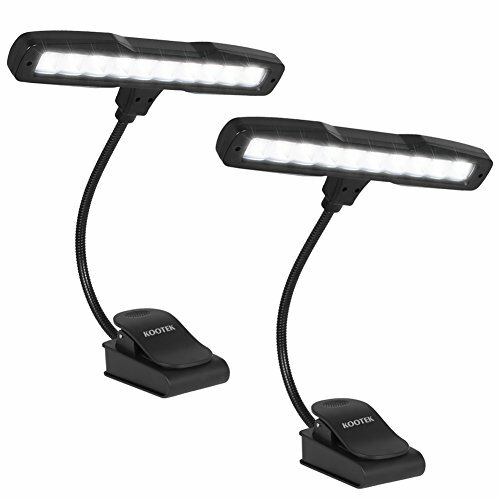 2-In-1 - It can stand on desk with the base as normal desk lamp and also available to clip almost anywhere and any angle with its anti-skid clip.